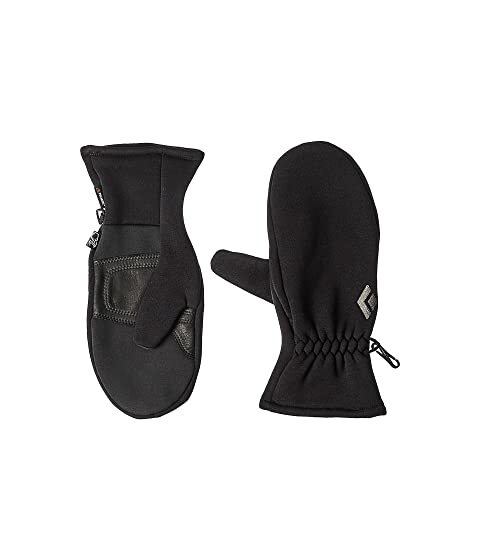 The smartphone-friendly Black Diamond® HeavyWeight ScreenTap Mitts Gloves let you keep in touch with anyone while still enjoying the great outdoors. Ideal for skiing, trail running, or hiking with your smartphone. Comfortable outdoor mitts offer the added benefit of full touchscreen functionality. 320g Polartec® Power Stretch Pro fleece shell. Goat leather palm patch allow for firm grip on your phone, ski poles and even dog leashes. Elastic cuff for easy on and off. Glove is treated with DWR protection. Palm patch: 100% goat leather.